Soft Serve Ice-Cream Machines & Frozen Yoghurt Machines. We Supply Large Range of Commerce Ice-Cream Machines & Frozen Yoghurt Machines. Price Break-Through - Soft Serve that pays for itself with only 5 ice-cream sales per day. We Supply Frozen Yoghurt & Soft Serve Mix. Our frozen yogurt powder is made fresh with high quality, natural ingredients & & is available in a variety of mouth- watering flavors. Mix with water; soft, light, well balanced. No fuss preparation! %98% Fat-Free. 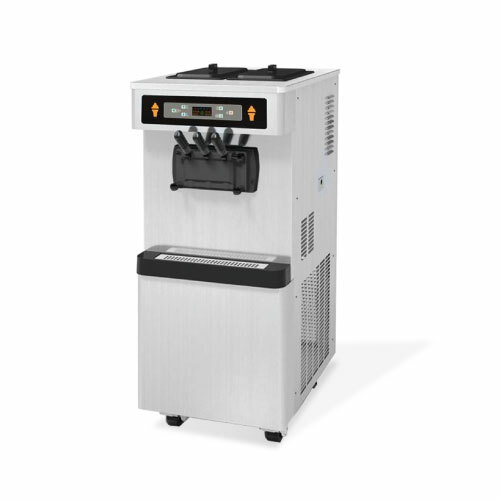 More and more people are enjoying the many advantages of having an ice cream maker in your restaurants. With your very own soft serve ice cream machine, you can create an infinite number of flavors and types of ice creams. Of course, this offers a range that is much larger than any supermarket. However, if you like to get creative in the kitchen, you may even wish to combine various ingredients to your ice creams. FED provides quality hospitality equipment for all business needs. Find the right Ice-cream or Frozen Yoghurt Machines from our impressive range. Stay on top of the competition with other commercial kitchen equipment from all our major brands.